This work deals with the study of recently discovered high rank Permian Gondwana coals of Northwestern Bangladesh. Coal samples from low volatile bituminous to semi anthracite have been studied to determine the rank and concentrations of mineral species for their possible utilization in combustion process. Trace elemental analyses on these coals were performed using Particle induced X-ray emission Spectroscopy using 2.5 MeV proton beam from Van de Graaff accelerator. Results show that 19 elements including environmentally hazardous arsenic, bromine, copper, lead, selenium and economically important gallium and germanium along with major elements like iron, calcium, potassium manganese etc are present with wide distribution. Both the mineral species and the trace elements are expected due to sedimentary and aerobic environmental condition where the coals have been generated and due to their degree of evolution. The results were compared with their respective values in some Canadian coals and in earth's crust. Analyses of mode dynamics and noise in semiconductor lasers are introduced based on a new numerical approach. Systematic formulation of multi-mode rate equations including Langevin noise sources is presented. Influences of mode competition phenomena and noise sources on dynamics of modes and the associated intensity and frequency noises are investigated. The model is applied to AlGaAs lasers. The results show that both intensity and frequency noises are enhanced when the laser exhibits mode hopping but are well suppressed under stable single mode operation. Even if neutrino masses are unknown, we know neutrinos are much lighter than the other fermions, and there is no convincing explanation for it. The explanation given in the Standard Model of elementary particles is that neutrinos are exactly mass less. However, this is a rather ad-hoc proposition. Non-zero neutrino masses arise in many extension of the Standard Model. Massive neutrinos and their associated properties, such as the Dirac or Majorana character of neutrinos, their mixing, lifetimes may have very important consequences in Astrophysics, Cosmology and Particle physics. Here we explore these consequences and the constraints they already impose on neutrino properties. The evidence for oscillations of atmospheric neutrinos found recently in Super-Kamiokande experiment is discussed together with the results of the solar neutrino experiments and the accelerator experiment LSND. Finally, we analyze the system of flavor oscillation between active and sterile neutrino in the early Universe condition i.e. before the big bang nucleosynthesis. This paper looks at the realities of making a successful 1.3 µm semiconductor laser device for use in the metro data- com market. The materials requirements, device design and fabrication challenges, testing and reliability issues of both surface and edge emitting lasers are discussed in the context of giving an overview of the current activity in research and industry. Finally, the practical aspects of die-level screening, packaging and reliability assurance are pointed out. 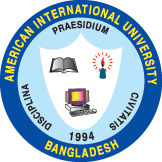 In this paper, a computerized language training system is presented to help Bangladeshi speakers for learning correct pronunciation of Japanese /ts/ and /s/ phones. Major difficulties of Bangladeshi speakers in pronunciation of Japanese consonant were identified in /ts/ phone by subjective and signal processing analysis. Existing Computer Assisted Language Learning  system for Japanese consonant, specially /ts/ phone, lacks efficient instruction to produce correct pronunciation. In this work a detailed feedback instruction system based on both place and manner of articulation is proposed to help the learners to produce native like /ts/ and /s/ pronunciation. This system will also display the grade and some effective acoustic features of learner's utterances along with a guideline for matching with native's model. The reliability of this CLTS is highly expected, as the automated grades of Bangladeshi speakers' utterances correlated well with the judgment by the native speakers. For the estimation of cross-sectional characterization of interface-rich semiconductor devices by using Kelvin probe force microscopy (KFM), a criterion of electron concentration imaging in n-GaAs is theoretically studied. On the basis of spherical probe tip approximation, capacitance component is calculated. It suggests that the detectable limit of the electron concentration in the semi-conductors is related to some specifications of a probe tip. It is found that the detectable range will be in the range of 1015~1017 cm-3 for a conventional Au-coated Si cantilever. A cantilever having smaller value of the spring constant, larger value of quality factor and resonant frequency is found to be preferable to enlarge the detectable range. The objectives of the present study are to investigate the similarity solution for a steady two dimensional MHD free-convective and mass-transfer flow of an incompressible, viscous and electrically conducting fluid, past a moving vertical infinite porous plate in the presence of thermal diffusion. The flow is assumed to be at small Reynolds numbers so that the induced magnetic field is neglected. The governing partial differential equations of the MHD free convective boundary layer flow are reduced to nonlinear ordinary differential equations by introducing suitable similarity transformations. The nonlinear similarity equations are then solved analytically by employing the perturbation technique for large suction and numerically by using Nachtshiem-Swigert  iteration technique. The results of the numerical solution are then presented graphically in the form of velocity profiles. The corresponding skin friction coefficient, the Nusselt number and the Sherwood number are also calculated and displayed in tables showing the effects of various parameters on them. The static and electronic transport properties of liquid less simple metals namely Zn, Cd, Hg, In, Tl, Sn, Pb, Sb and Bi are investigated in this work. The static properties studied are the static structure factor, screened form factor and coordination number. The electronic transport properties investigated are electrical resistivity and thermoelectric power. Potentials are derived from the Bretonnet-Silbert model originally developed for liquid transition metals. The liquid state is described by the variational modified hypernetted chain (VMHNC) integral equation theory of liquids. The electrical resistivity is calculated by using Ziman's formula and the thermoelectric power by using Mott's formula. Results are compared with corresponding experimental data. It is found that agreement with experiment is excellent in the case of static properties, and fairly good for electrical resistivity. Results for thermoelectric power are quite satisfactory. Positive energy bound states is a special feature of the separable nonlocal potentials. In this note we have associated separable potentials with corresponding local potentials and shown to give rise to the same positive energy bound states.